Dunkirk is one of the most anticipated films of 2017. 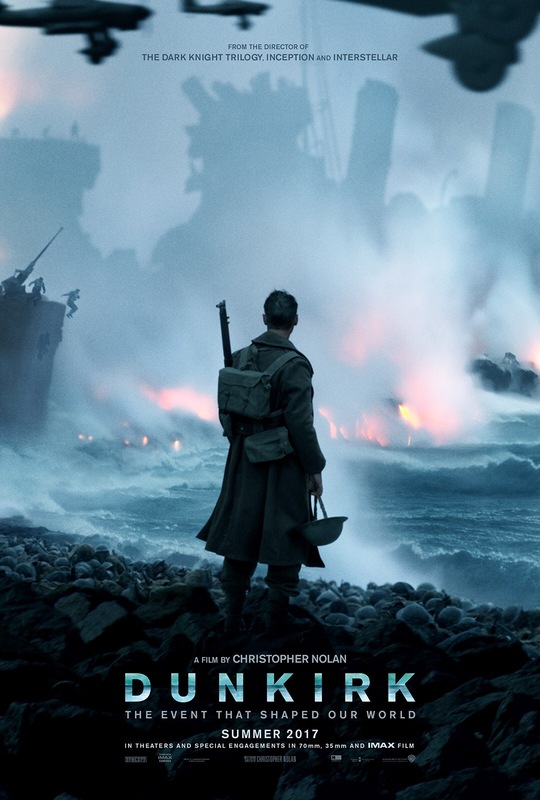 Nolan reunites with his Interstellar cinematographer Hoyte van Hoytema, and together they shot Dunkirk entirely in IMAX 65mm film and 65mm large-format photography. Which means that IMAX is absolutely going to be the ideal way to see this movie, and indeed select moviegoers who see Rogue One in a film-projection IMAX theater this weekend will be treated to a special 7-minute prologue of Dunkirk before the Star Wars movie begins. Looks like Rouge One got it’s prime publicity stunt. As for the rest of us, we’ll have to settle for the first official trailer for the film, which is expected to debut online this week. We’ve only seen but an announcement tease, so I’m incredibly eager to get a look at some of the footage that Nolan and Hoytema captured for this feature. For now, check out the Dunkirk poster below. The film stars Tom Hardy, Kenneth Branagh, Mark Rylance, Cillian Murphy, Aneurin Barnard, James D’Arcy, Jack Lowden,Barry Keoghan, Tom Glynn-Carney, and Harry Styles. Dunkirk opens in theaters on July 21, 2017.